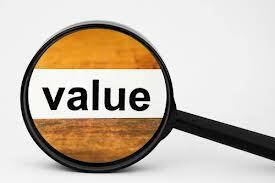 Value proposition which is an essential element of an elevator pitch, should be simple and easy to remember. It should emphasize both the benefits the customer will receive and the price the customer will be charged as compared to the competition. An important goal of a value proposition is to convince the customer that he will be getting many more benefits than he is being asked to pay for. To create an effective value proposition, an organization should first determine exactly what benefits a customer wants and how much the customer is willing to pay for them. The phrase “value proposition” is credited to Michael Lanning and Edward Michaels, who first used the term in a 1988 staff paper for the consulting firm McKinsey and Co. In the paper, which was entitled “A business is a value delivery system,” the authors define value proposition as “a clear, simple statement of the benefits, both tangible and intangible, that the company will provide. Understanding the customer expectation helps Organizations position their value proposition and aim to satisfy the niche customer segment as well as to build loyalty amongst the customers. This is the principle that has been adapted by most companies who stand out in their chosen value proposition and command leadership in the market. Apple chooses to build on its superior product innovation capability and commands a huge loyalty across the globe. It is not uncommon to see people queuing up in front of the Apple stores well ahead of a new release of Apple Phones. Ask any Apple customer, they will tell you that an Apple Fan is a lifetime fan and cannot think of looking at any other brand. Apple doesn’t come cheap. They are priced highest in the category. However their value proposition is based on superior product features, technology and the architecture which they continue to innovate and enhance the value all the time.